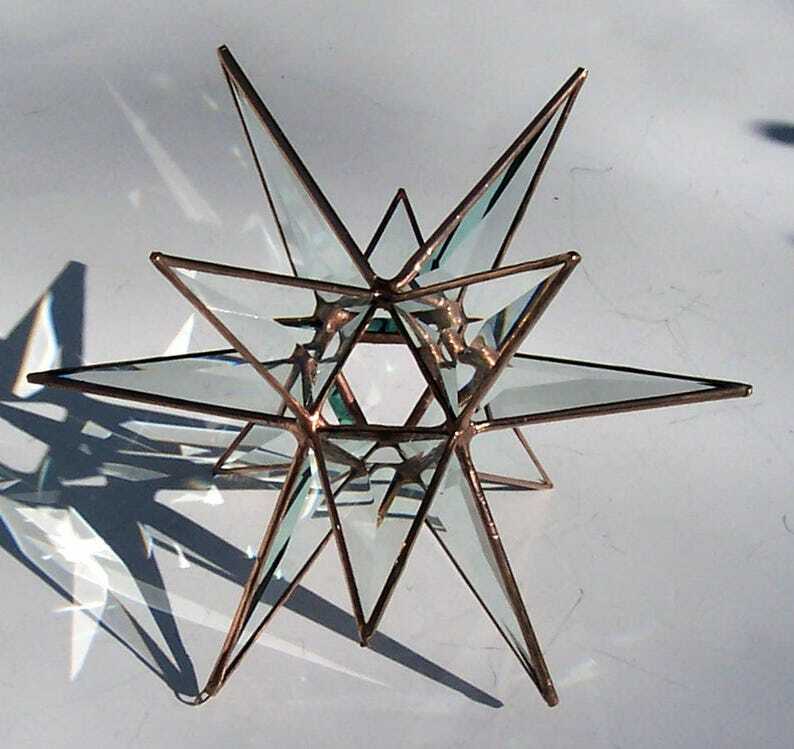 Eight (8) inch Beveled Leaded Glass Tree Topper: This Moravian 12 point star has a glass tube to help support it on the tree with additional wire should it be needed. A strong tree branch is necessary due to the weight. So beautiful !! Can’t wait for Christmas! Glass Tree Topper star is absolutely beautiful! Arrived quickly and well packaged.